Two sided design, front featuring the Hop Bearded Beer Zombies logo. Backside Beer Zombies font with craft life craft death and a hop cone. These Openers are water proof, stain resistant, scratch resistant and made of solid steel. Design is not a sticker or decal, the finished product has the same look as a great custom paint job would look on a car or motorcycle. They have an Awesome shine and look unbelievable. All openers come with a Spinner Ring which is made of super duty rubber and designed to make the process of opening a bottle with a speed opener much easier, faster and comfortable. These are perfect for bartenders or anyone that wants to open a beer in style! 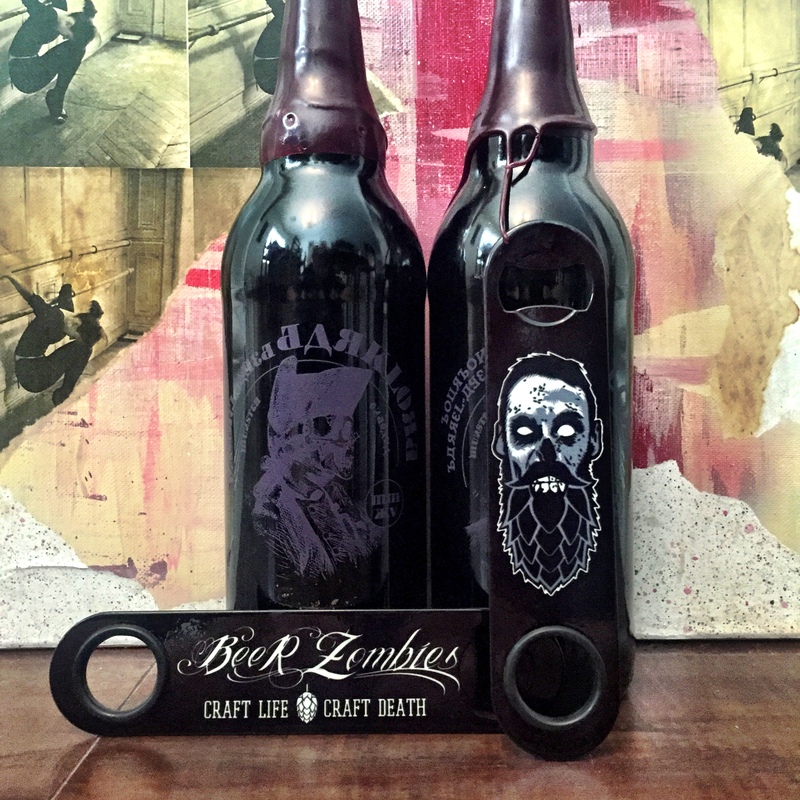 This entry was posted in Menu and tagged #beer, #zombie, art, beer zombies, bottle opener, craft beer, hops, las vegas, sided design, solid steel, vegas, water proof by beerzombies1. Bookmark the permalink.